Dhaka, 7 May, Abnews: A grouping of Islamic countries said Myanmar’s treatment of Rohingya Muslims is a “serious and blatant violation of international law” and it is calling for international support in solving the crisis. The Organization of Islamic Cooperation issued a joint statement Sunday at the end of a two-day conference in Bangladesh, which has taken in more than 700,000 Rohingya who have fled violence in Myanmar since August. The statement said the grouping will continue to work the UN and other global platforms to address the rights violations taking place in Myanmar. 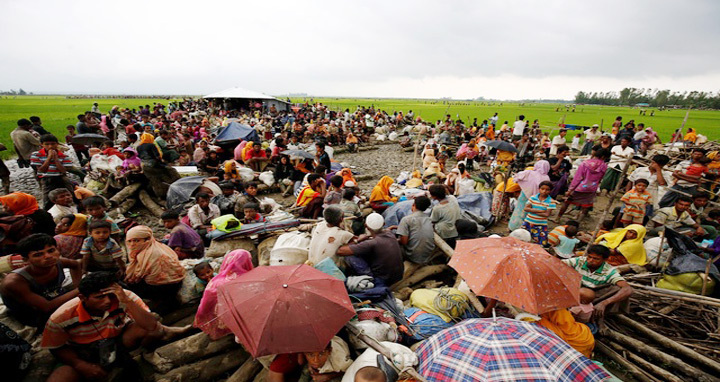 The grouping echoed previous international statements saying ethnic cleansing is taking place in Myanmar. Security forces in Buddhist-majority Myanmar launched a scorched-earth campaign in late August in response to attacks by a Rohingya insurgent group. Thousands of people are believed to have been killed in the crackdown, which many rights activists believe was a calculated attempt to drive Rohingya from the country. Rohingya are denied citizenship in Myanmar, where they have long faced persecution. Many in Myanmar see them as illegal migrants from Bangladesh, and deride them as “Bengalis.” Most have long lived in poverty in Myanmar’s Rakhine state, next to Bangladesh.